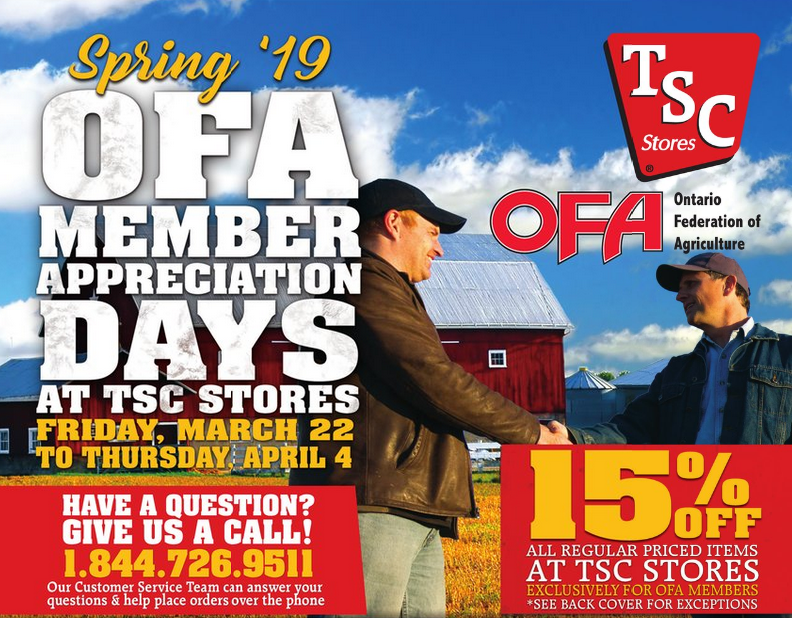 OFA members receive a special 15% discount on regular priced items during the spring OFA Member Appreciation Days event at TSC Stores. OFA members can take advantage of this exclusive sale from Friday, March 22 to Thursday, April 4, 2019. This special, money-saving event is available to all OFA members. OFA members can also save when they order select products online through the TSC Online Order Ship to Store program. This is not applicable to all items, but only those shown in the flyer with the shopping cart icon. To receive the exclusive OFA member discount when ordering online, members must enter OFASPRING19 as the special online promo code at time of checkout. Full payment is due at time of pick up in store. To earn the exclusive OFA member pricing simply present your OFA membership card at point of purchase. Click here to view the online catabook and access exclusive deals.